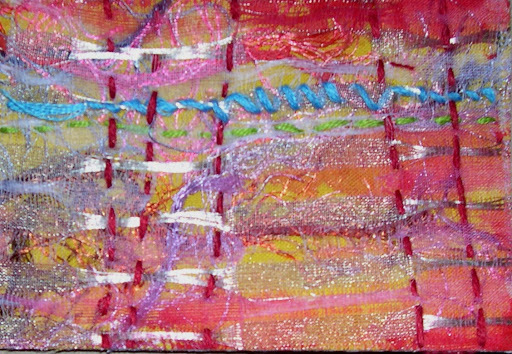 Here is one of the ATC’s [ artist trading card] that is made from the trimmed edges of the piece I am working on. The theme for this trade was The Color Red so I also backed it with red watercolor paper. I pretty much love the way this turned out. I hope the recipients love it,too and I can’t wait to see the cards I get in return. I will post them when they come. This looks great! I love the colors!